Steven Frank has a new approach to writing: fun first, rules to follow, success for all. In The Pen Commandments, his offbeat and entertaining guide, he's given us a book that all writers can turn to for help and a good laugh. 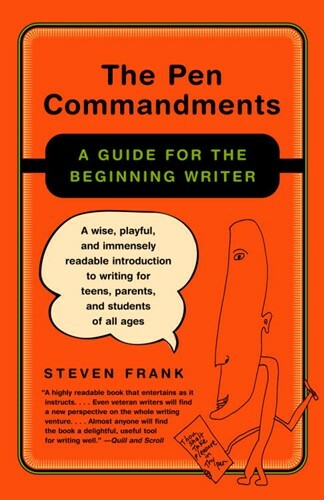 With outrageous anecdotes (how a kid's oral surgery led to the ultimate writing assignment) and irreverent advice (Thou Shalt Not Kill Thy Sentences), Frank shows how to conquer writer's block, make friends with punctuation, and live forever in words. If you want to inspire your kids of just want to brush up on your own skills, The Pen Commandments will change-and enliven-the way you write forever. From the Trade Paperback edition.